This summer Baton Rouge Ballet Theater dancers traveled the nation to study dance from some of the best performing artists. 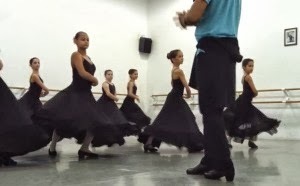 Studying pointe, modern, character, and other dance forms, these students spent hours in the company of dancers to increase their skills in the art of dance. Here are their stories. 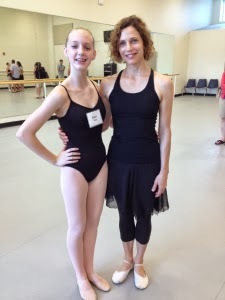 This year I attended American Ballet Theatre’s (ABT) summer intensive at the University of North Carolina School for the Arts in Winston-Salem, where I learned from the ABT principals from New York. Each class was a fresh start and each teacher taught us something new. The classes were small and intimate with teacher involvement each step of the way. UNCSA was a terrific place to be for a four-week intensive. My housing experience was fantastic. My roommate was from Chicago, and we shared many of the same interests. Being on the campus of UNCSA was wonderful because many other camps were going on at the same time – theater, drama, film making, digital media, art, and music. So many students my age with all different interests. All the ups and downs of this intensive gave me confidence and growth as a dancer. If someone were to ask me about ABT at UNCSA, I would highly recommend it. I truly did enjoy my Summer of 2013 Intensive. 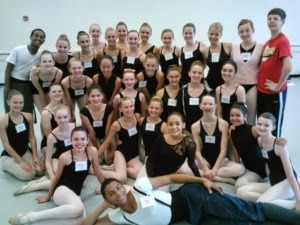 Class photo of ABT Dance Intensive in North Carolina. Riazuelo spent hours in the studio with some of the nation’s top dancers. “This was my first long intensive Ballet course. The teachers were nice but very strict. My favorite classes were character, ballet, pointe, and repertoire. I had a lot of fun and learned a lot. I hope I can go back next year,” said Riazuelo. Another BRBT Dancer traveled to the home of the International Ballet Competition, Jackson, Ms. Anna Matherne studied ballet with Ballet Magnificat, a professional touring company performing nationally and internationally to audiences in the United States as well as Czech Republic, Canada, Belize, Germany, and France. 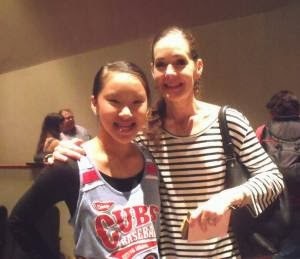 Anna Matherne, left, with Kathy Thibodeaux is the founder of Ballet Magnificat! School of the Arts and the Professional Christian Company. While in Jackson, the students attended performances by Ballet Magnificat’s touring company Alpha and Omega. These companies share the ministry of God through dance. After seeing the show, the dance intensive students learned a piece of the repertoire for their student gala. “During Each level performs a piece from a ballet that one of the companies has toured. My level performed Be Blessed from Alpha’s The Scarlet Cord,” said Matherne. Anna Matherne featured in the student gala. Matherne was one of the few students to audition are receive a solo during the gala performance. The BRBT Dancers have returned to Baton Rouge and to their home studios. Everyone at BRBT hopes that readers will come see these dancers and others during the 2013-2014 year. 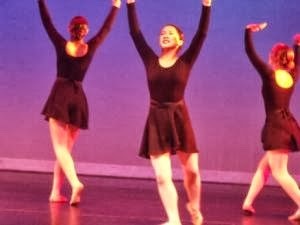 Go to batonrougeballet.org to see opportunities for upcoming in studio and stage performances.